*The Transaction fee is displayed for indicative purposes and may vary depending on your business activity, geographical location and other factors. Please fill in the request form and our team will send you a tailor-made offer. myPOS AppMarket is a digital software distribution platform for mobile Apps. 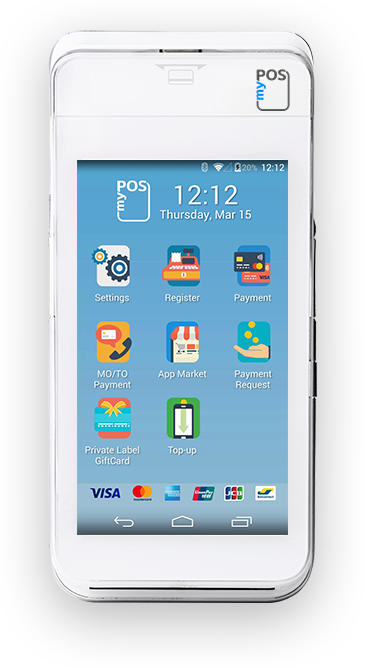 The AppMarket allows users to browse and download Android compatible applications that are developed for myPOS Smart devices. We ship myPOS Smart devices with four apps, a terminal app, a register app, a payment request app and Top-up app. myPOS is working with third-party developer partners who build complimentary solutions (Cash Registers, loyalty programs, and more) and offer them to merchants of all kind on AppMarket. Thanks to the AppMarket software platform and connectivity these apps can be downloaded as the merchant chooses and updates can be received as needed. Accept all types of payments in a fast and innovative way. Track activity and get reports. Top-up prepaid services offered by 779+ service providers in over 141 countries across the globe. Turn your POS device into a powerful cash register and simplify items and inventory management. 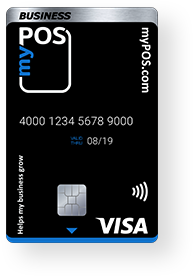 Accept card-not-present transactions with ease. Track activity and get reports. Get paid fast and effortlessly by sending a Payment Request to clients all over the world. Transform your business and drive success with the right set of business apps. Turn your products and services into gifts. Load and activate GiftCards quickly and hassle-free. Quick guide with a step-by-step, easy-to-use instruction to activate your new myPOS device. 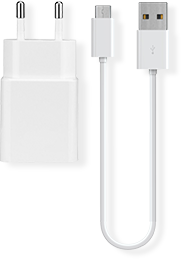 The guide includes key features and benefits, device specification, safety instructions and maintenance, charging. The guide includes main menus and functionalities, how to perform transactions and network connectivity of your new myPOS device.